Do you have the dental lab software management tools you need to get the most from your practice? Read on for tips on how to make your office more efficient. Everywhere you look the world is going digital, and dental laboratories are no exception. Are you taking advantage of this-moment technology in your lab, or are you operating your lab much like you were last decade? Do you have the dental lab software management tools you need to make the most of your practice? Or, are you getting by on products and services built to manage any business? Sounds like it’s time to invest in some dental lab software that’s up to today’s dental industry task.We’re sharing tips on how to make sure your lab is reaching its potential. Why invest in dental lab software? Forget sorting and filing tons of paperwork. Let the software organize and sort, and bring up for you just what you need when you’re looking for it. Forget manually assigning workflows to meet deadlines. You get the order, and your team can begin filling it immediately, thanks to your virtual assistant case management system. Does there seem to be a snag in workflow? Pull a report on technician productivity and identify what and where the problem is more quickly than you ever could before. Say hello to synchrony. Access, work on, and update cases in real time via cloud-based solutions. Lab technicians can see all the history (prescription, notes, photos, etc.) relevant to the case as they fulfill it, even the latest instruction on a case as your management or customer writes it in. Right within the case management system, the doctor can provide detailed instructions about patient needs and preferences. And And your lab and customer can go back and forth with questions and answers to make sure the very best work is done. That’s a whole new level of quality control. Fulfill doctor requests accurately and on time. Use automated call lists to give them a heads up by phone when you won’t be able to fulfill their order by the due date. Monitor cases that are on hold awaiting more information from the doctor. Send the doctor a friendly reminder to answer the lab’s questions as soon as possible. Keep on top of what’s been done, what needs to be done, what’s been billed, and what needs to be billed – even through the typical frenzy of returned and reactivated cases. Keep on top of shipments, deliveries, and pickups, too. When you get a call from a customer asking about the status of an order or bill, you’re only a click or two away from a dependable answer. Curious who your biggest account is? Want to know what your best-selling product is? Need to see how close you are to your quarterly sales goal? You can pull a report and know in an instant and up to the minute. You can pull a report and know in an instant and up to the minute. Want to get the word out about your products and services? Need to prospect for new customers? You can email many at once and watch as the system tracks all who engage You can email many at once and watch as the system tracks all who engage with your communication. Let us help you get a competitive edge. Your dental laboratory is a business. Armed with the right tool set, your lab can realize its potential. 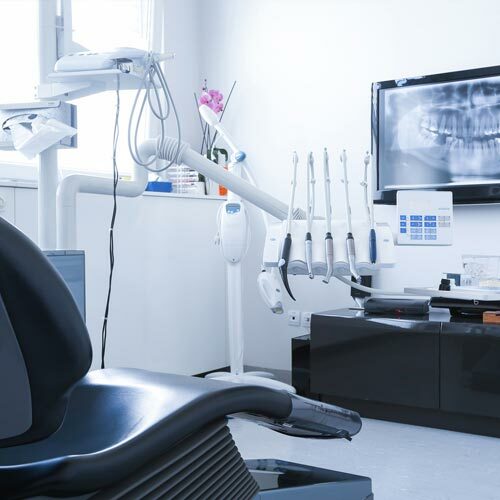 We set the standard for dental lab management software solutions. Every feature of our dental lab management software evolved from a need born right in a dental laboratory like yours. Our customers, ranging in size from 20 to more than 2,000 cases a day, all use identical technology tailored to their specific needs. So no matter your scale, we’re here to help – during installation and training, and throughout your interaction with the custom-built solution we develop and grow with together. Get in touch for a personal lab analysis and dental lab software presentation.